Field arrays of photovoltaic panels have become a familiar feature in the landscape now. Not loved for their aesthetic contribution they nevertheless provide an interesting enclosure of farmland taken out of production and have the potential to deliver biodiversity gains, particularly for invertebrates. The Arc team has worked on all of the Island’s solar parks, providing biological advice and landscape design, assisting with condition discharge and site monitoring. The largest of these, at Hill Farm, covers 25 Hectares. Monitoring conditions required checks for bird strike (being near to Natura 2000 wetlands) and an evaluation of plant and invertebrate colonization. 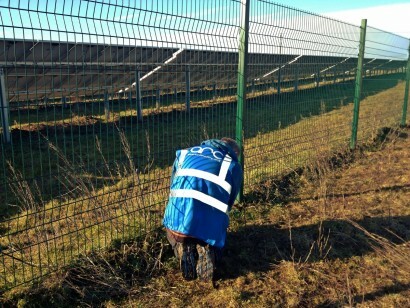 We completed this work over 12 months and were able to feedback recommendations to site managers on simple enhancements for wildlife and conservation as well as simplifying some of the original precautionary constraints on solar park grounds maintenance. Arc provides ecological surveys and assessments, timetables for installation, CEMP advice and designs and specifications for landscape planting. Our preference is then to also organize and supervise the planting contract and purchasing, using local teams and ensuring appropriate provenance of stock. 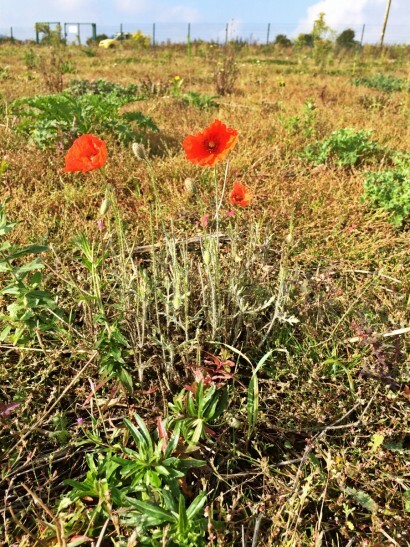 We have developed an approach to site preparation that minimises the need for new planting and grounds maintenance and maximises the benefits of bare ground and natural regeneration for botanical and invertebrate conservation.